This is the 24th ornament in the Classic American Cars series. 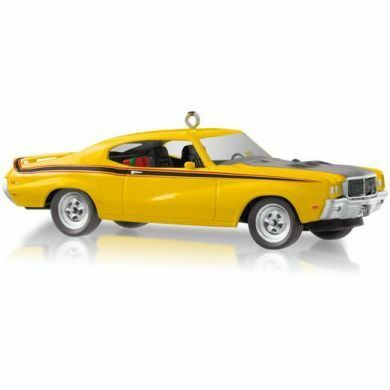 This die-cast metal Hallmark ornament by Don Palmiter features wheels that turn. 4.12 inches long.